It never seemed to be anyone’s favourite stop, but it wasn’t terrible. It didn’t really matter to me; Kelsey and Peter were flying back down from London to meet me on the Saturday. Kels had found us a nice AirBNB to stay at in the city center, and if we hated sightseeing, we could always just drink wine, eat cheese and catch up on life. But it turns out I really loved my day of sightseeing before the two of them arrived. For starters, the day was perfect: 20 degrees, sunny, not too many tourists with the off season. It was perfect. I’d gotten a basic rundown of everyone’s favourite sites from some friends at the hostel the night before, and after a lazy morning drinking coffee, I set out for a day of exploring! I walked for about 6 hours that day, only stopping for a short break to eat a baguette on the beach. I meandered all along the coast, through parks, and over stunning walkways that ran right along the sea. I ended up a couple hours South of the city at Prado Beach where I stopped for a snack. 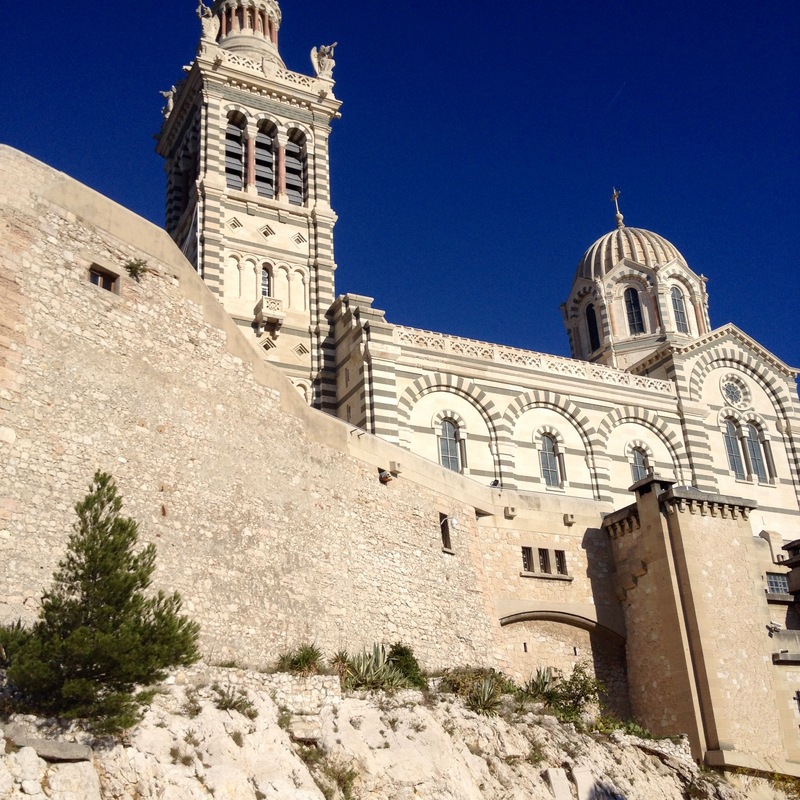 Then I worked my way back inland until I hit the famous Notre Dame at the top of the largest hill in Marseille. You can see the Notre Dame church, and the golden statue that sits on top, from all over the city. 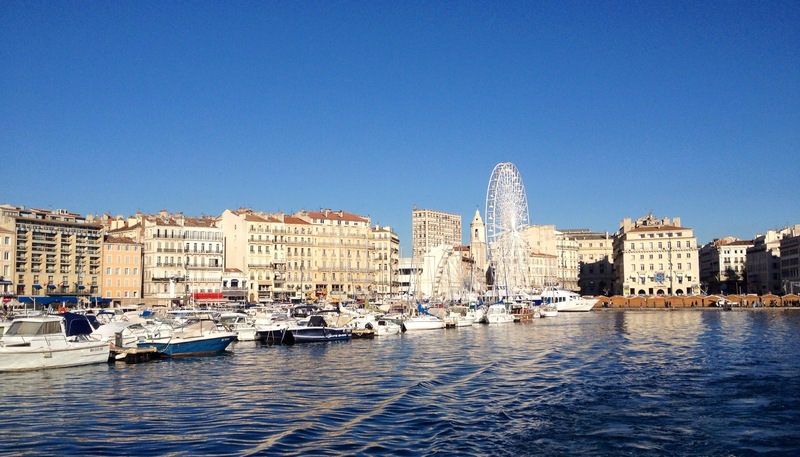 It is the landmark of Marseille! And it comes with some stunning panorama views of the mountains, the port and the islands just off the coast. I had been taking photos of the little islands off the coast all day; from every angle it seemed! I had photos from the port, from my walk along the coast, looking back at them from the beach, and now from the viewpoint at the Notre Dame. As I stood above the city, looking down at them I decided right then and there that I needed to see them up close! So I cruised down the big hill to the port where I found a boat that would take me out. 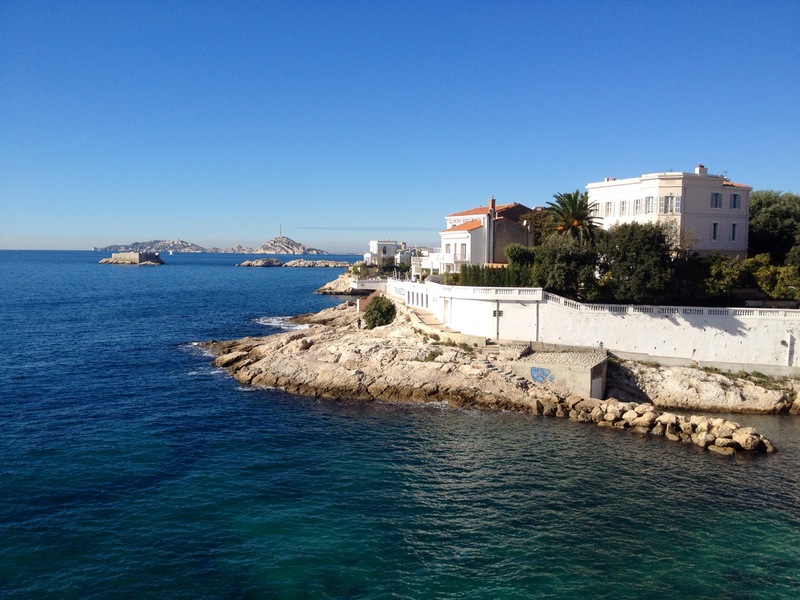 Being so late in the afternoon, I could only choose one island to visit: I chose the Isle D’If. The isle D’If is very tiny. You could probably walk around the entire thing in 15 minutes. On the island sits a large fort. The fort was originally built to protect the port from pirates entering the area. But since it was so poorly designed as a defensive fort, it was soon turned into a prison. The chateau D’If, as it was called, ran as a prison for many, many years. Over the years, it was home to numerous important dignitaries and military men. 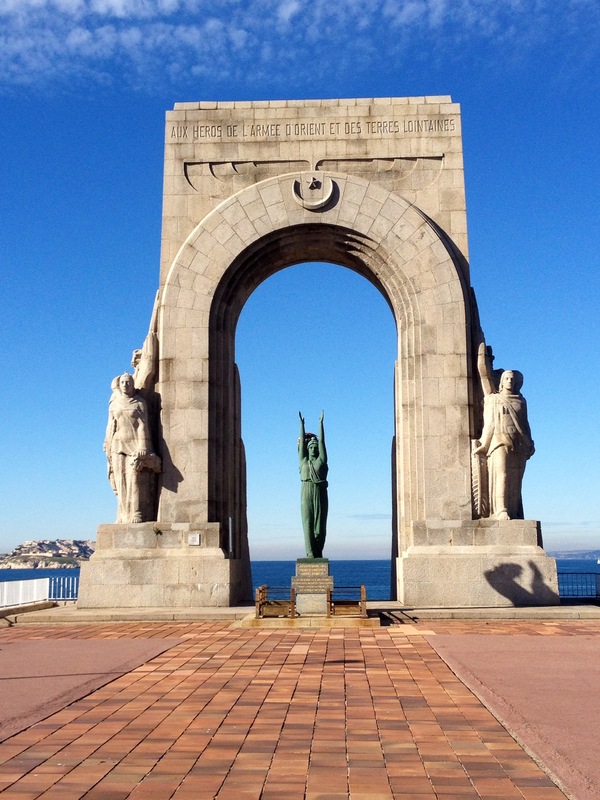 But in the end, the chateau D’If is famous for it’s fictional prisoners instead. The Isle D’If was the setting for Alexander Dumas’ famous novel “The Count of Monte Cristo”. 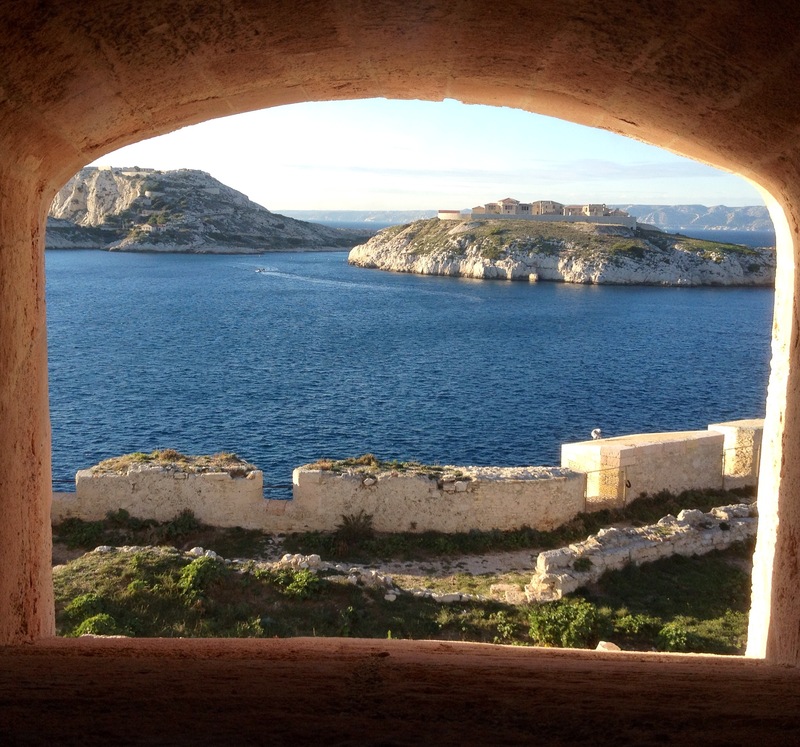 When the novel was released, the chateau D’If became famous worldwide. 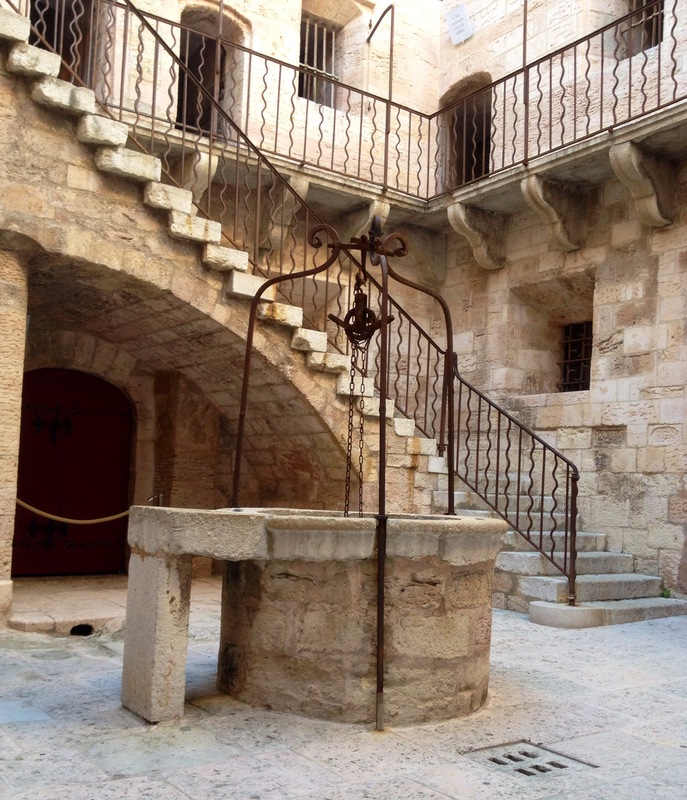 People travelled from all over to come see the famous prison where Dante was held captive. Over a century later, it was again the setting for the film “The Man in the Iron Mask”. As it turns out, very few people remember any of the real life prisoners that were held in the jail. And so, even today, the chateau caters towards the Dumas fans, selling paperbacks of “The Count of Monte Cristo” in several languages, and even highlighting the room he was supposedly held in. As touristy as it is though, the chateau was great to explore. Plus the views back on the city as the sun set were worth the 10€ ticket out there alone! The next day, Kelsey and Peter arrived in the afternoon and we had fun wandering the port area and the city’s famous fort for the sunset. Then we headed back to the apartment for a night of wine, beer and an epic cheese and meat spread we bought from the grocery store. We adopted a friend of mine from the hostel for the night, and the four of us played drinking games and caught up well into the night. The next day it poured. Our plans to hike back up to the Notre Dame and sightsee for the afternoon were quickly thwarted. The rain had easily convinced us that a big lunch at the port and then naps back at the apartment was a much better plan of action for the afternoon. So we spent the day relaxing as the rains continued, before finally all saying goodbye and carrying on our separate ways! 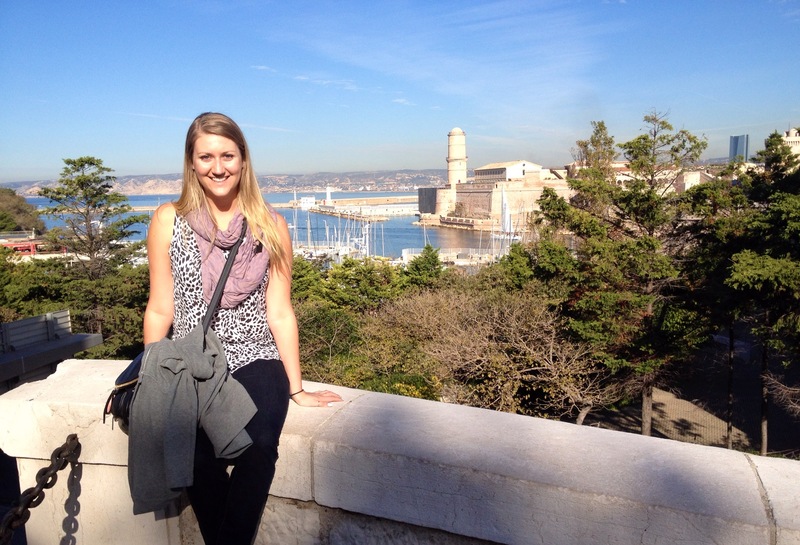 This entry was posted in Uncategorized and tagged chateau D'if, count of monte cristo, notre dame, sightseeing, Travel by hilarylust. Bookmark the permalink.